I first want to reference TECH-NET's first article on Selcuk Ozmumcu's work. Selcuk has done a few amazing projects in ZW3D that we will be documenting. He is an incredibly creative Industrial Designer and by far one of the most prolific and skilled 3D CAD modelers I know. This is what Selcuk does for fun! Imagine if he was actually developing a vehicle? 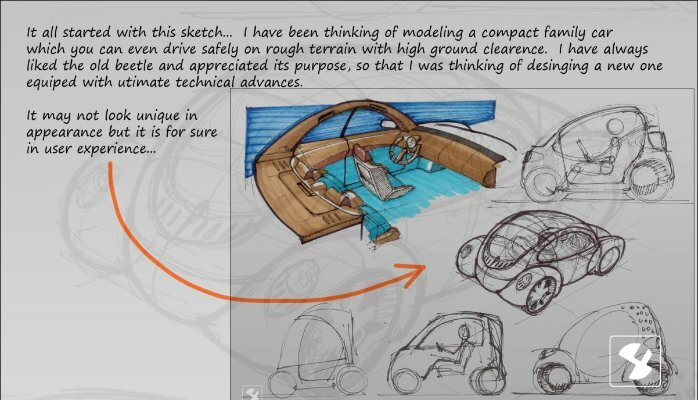 As a design draftsman I sit in awe as I look at his creations. Not only does he give us great renderings but he documents the process. All of this work is done in ZW3D Standard. Here is what he says why he uses ZW3D. Regarding CAD packages, yes, I had learned and used Catia. It is not so user friendly at all. I have learned it at advanced level, and Alias as well. I would not recommend them. Because I had learned them when I was already using SolidWorks. Considering that I have done everything on my website only with SolidWorks, I had never thought of using both of them. 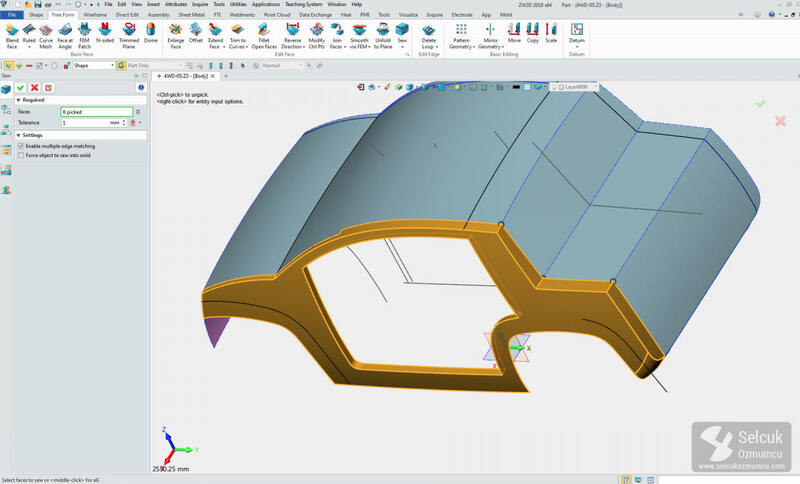 Alias is not practical at all and it is not a parametric CAD system. 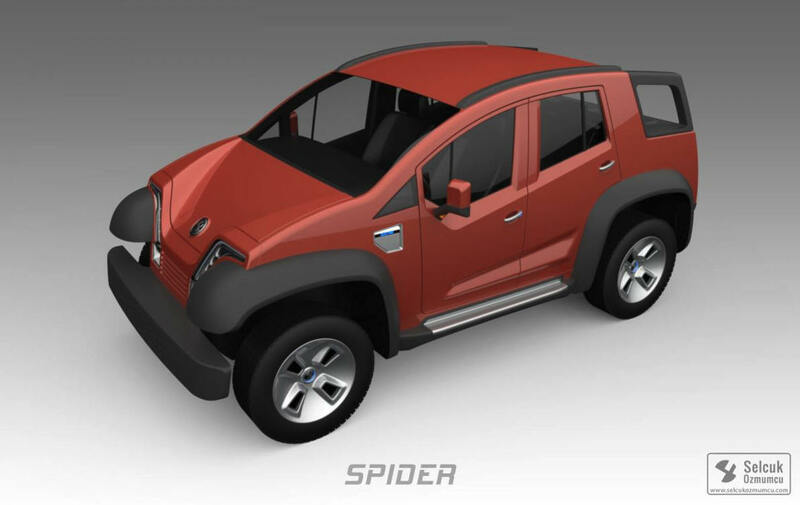 Catia is so powerful, but if it is just for modeling, you don't need it. SolidWorks was enough. But now I have met with ZW3D, for advanced surface modeling, it is far beyond SolidWorks. I had been using SolidWorks for aircraft modeling since 2006 and had started using it since 1999. 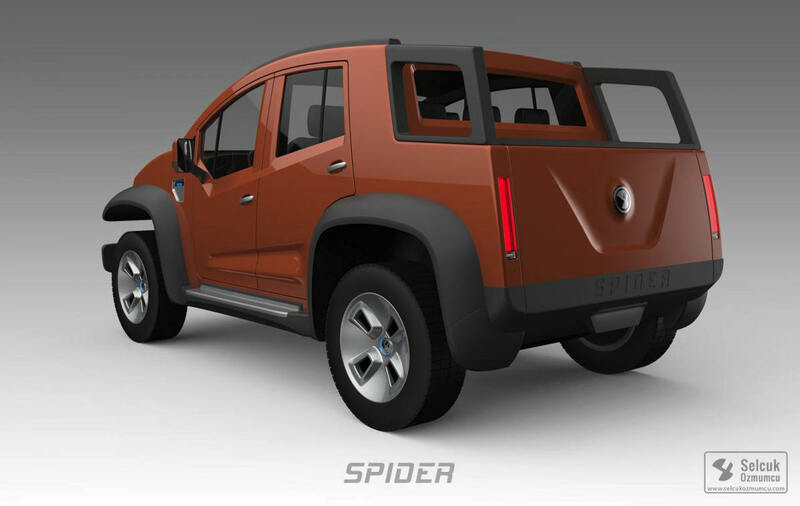 Never thought about them for modeling after SolidWorks implemented surface modeling tools. Now with ZW3D, Surface modeling is even faster and reliable. Of course we start with a sketch! Please visit Selcuk's website. His creativity extends to his website which he designed and maintains. ...where ideas come to life in 3D! This design was done in ZW3D Standard. 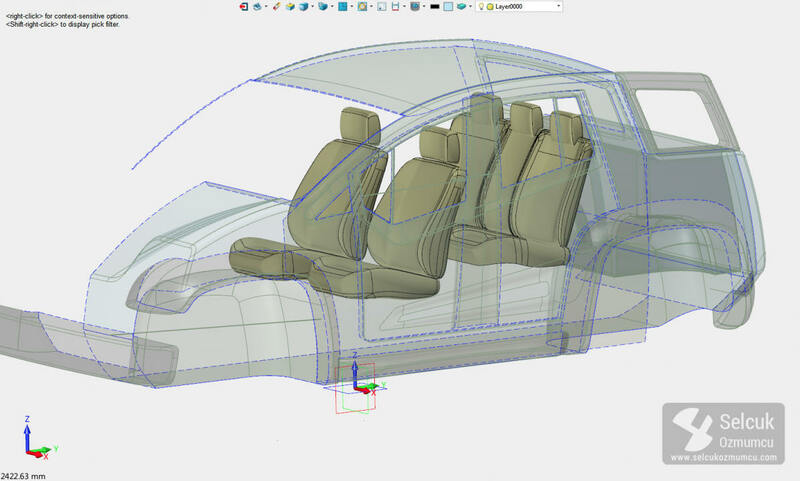 Standard offers the most flexible hybrid 3D modeling. 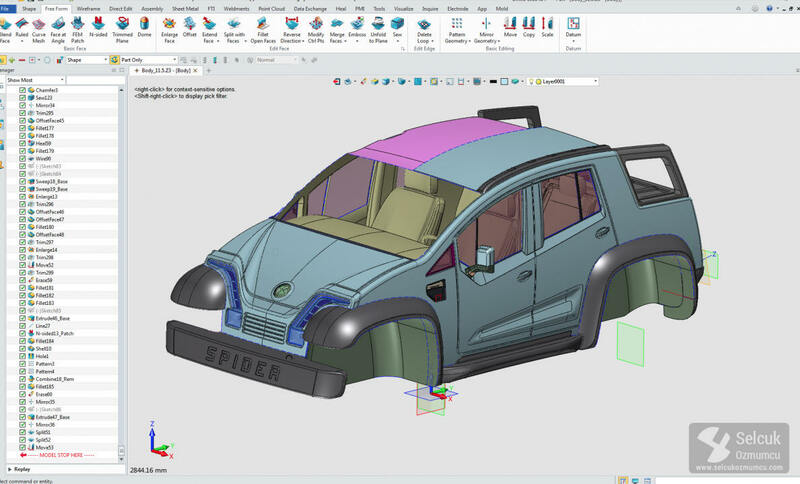 Hybrid modeling is the future of 3D CAD and ZW3D is leading the way. 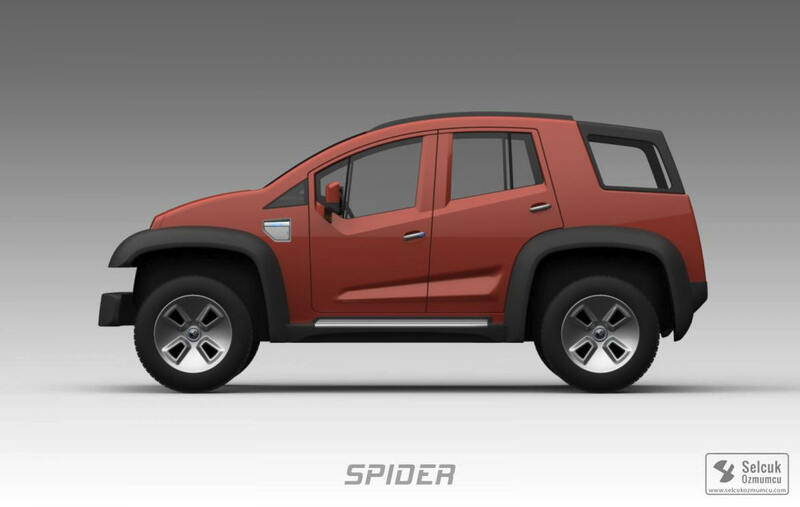 The major Solidworks clones cannot offer this level of design. They are based on a dated limited 3D CAD paradigm that should have died decades ago. This allows you to do complete projects or sub-assemblies in one file. 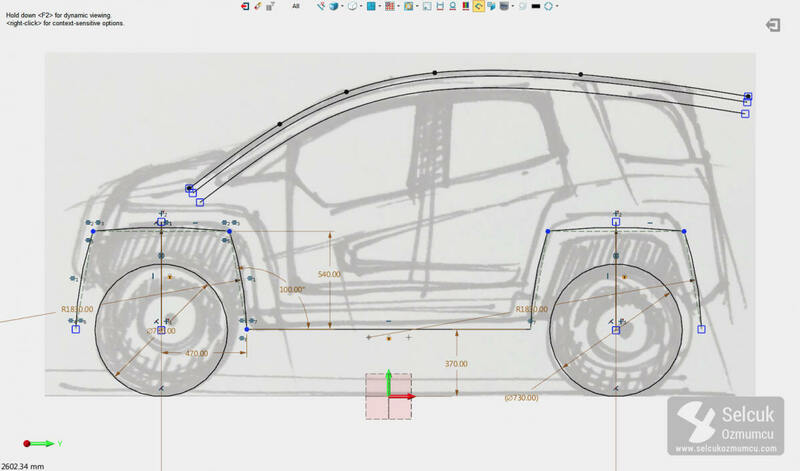 Think of the ease of top down design as an integrated part of your design process? 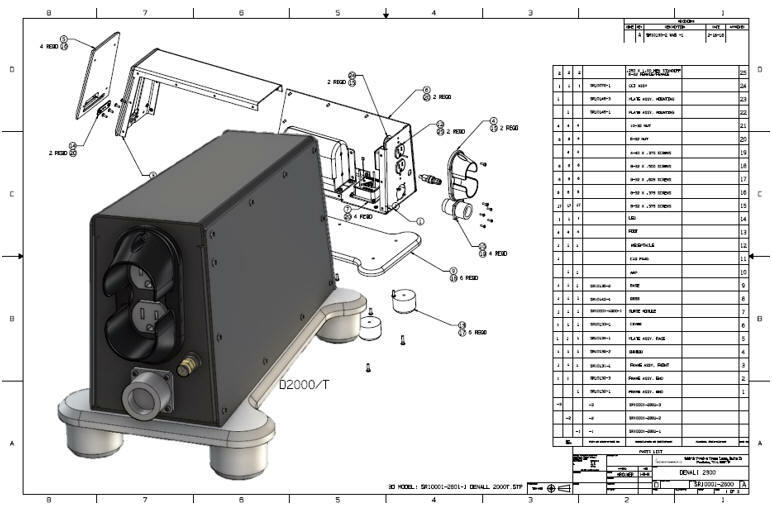 Imagine having the drawing included in the same file, how simple would that make your PDM? Import and export Catia 4/5 and all of the neutral formats. ZW3D even imports PMI for NX, Solidworks, Creo and Catia. Many have noted that ZW3D is very similar to NX. Even though it offers most of what is available in NX (I feel NX is the only comparable product to ZW3D) the price is only 25% of NX. ZW3D ease of use allows it to out perform NX which needs to add expensive modules to equal ZW3D. ZW3D offers incredibly flexible purchasing options. But you should consider having at least one perpetual version at the reasonable price of $3000.00 as your engineering data or intellectual property grows. Never allowing a software company to hold your data hostage. Give ZW3D a try today. Give me a call if you have any questions. I can set up a skype or go to meeting to show ZW3D in action or answer any of your questions on the operation of ZW3D. It truly is the Ultimate CAD/CAM System.